The functionality of the Boardroom model is similar to the Original Kilburg, but with every option included. This is simply our finest clock in regular production. The front panel is a choice of seven natural wood veneers, but unlike the Original Kilburg model, the Boardroom model has a customized molding design (see image to the left) as opposed to a flat edge. This adds to the overall size of the model (widening it by approximately two inches in width and two inches in height) and presents a much more artistic style. 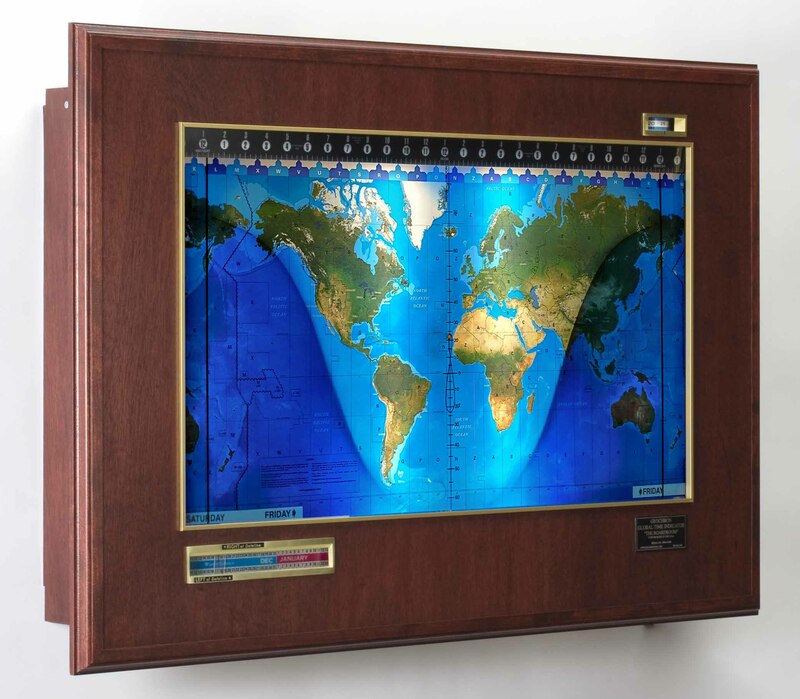 All Geochrons, including the Boardroom, are made-to-order with a Geopolitical or Topographical mapset.